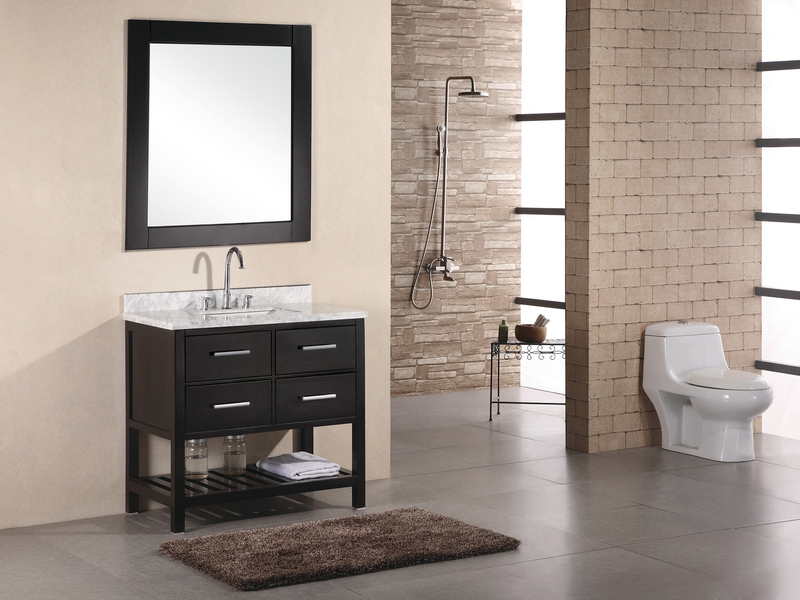 The London Single Vanity is a great blend of modern design and functionality with its ample storage and sleek look. 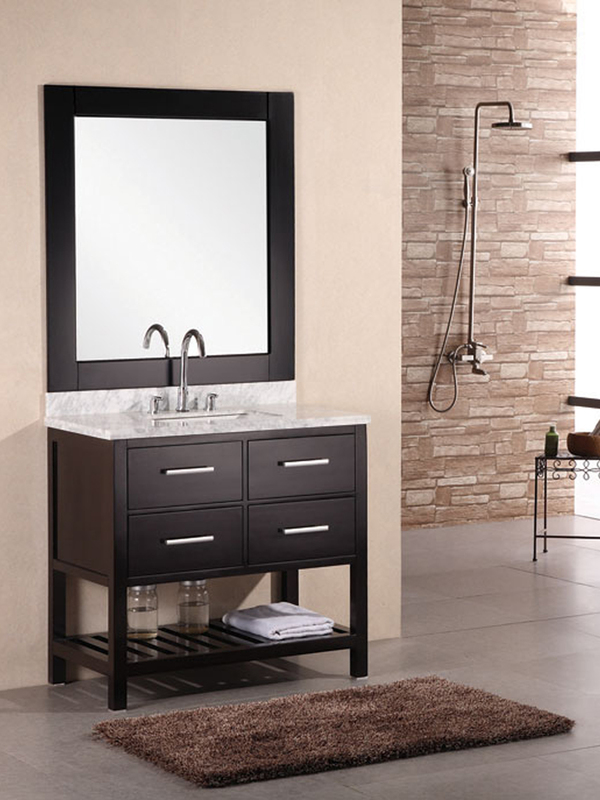 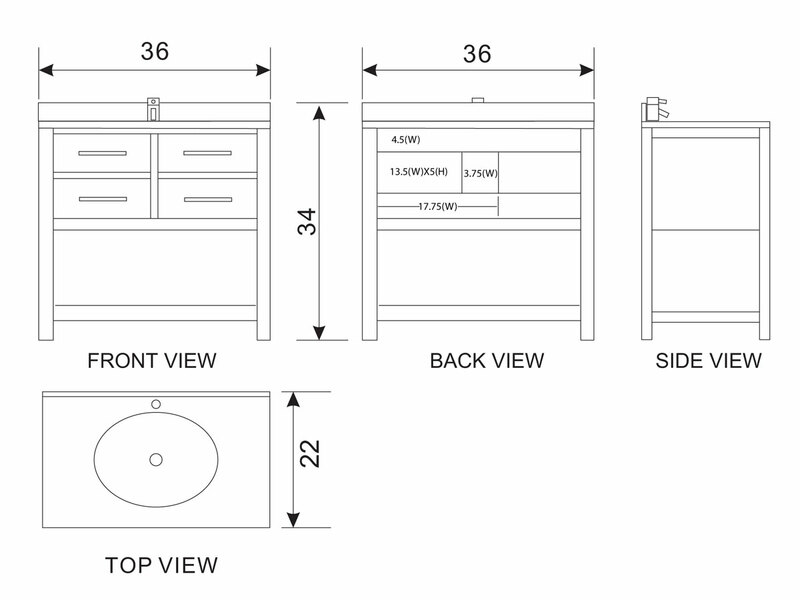 The clean lines, espresso finish and satin nickel hardware give this vanity its modern design. 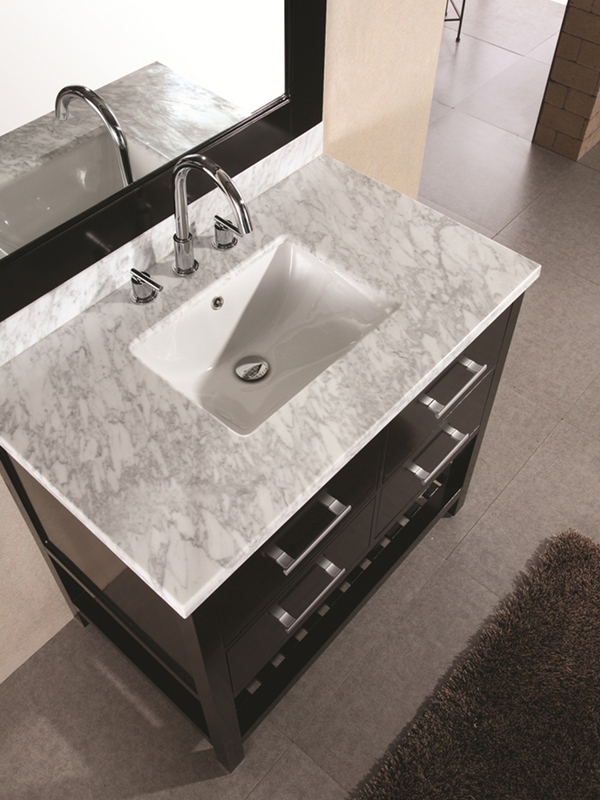 The white marble counter top provides a refreshing contrast to the dark vanity body, and has plenty of space to work with. 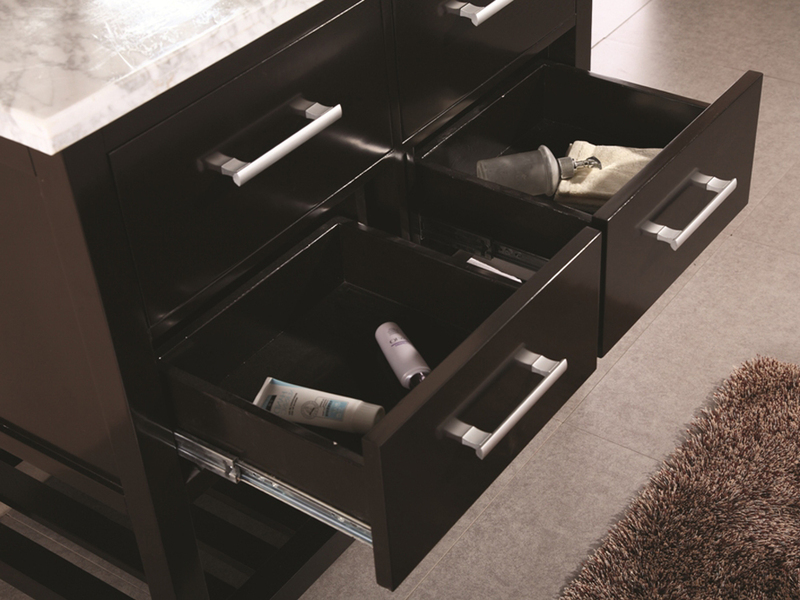 The four drawers offer a great way to organize bathroom accessories, and the bottom shelf allows you to tastefully display and store items such as guest towels. 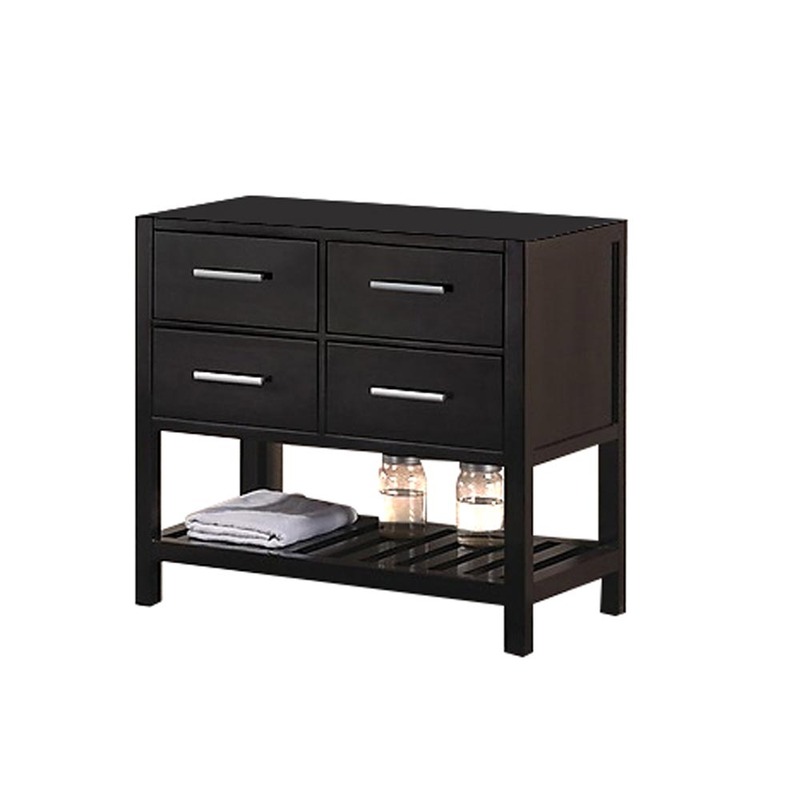 For style and practicality, this vanity is hard to beat.